Jaggery has many nutrients. Many people like to eat jaggery. It increase the metabolism and it is very good source of energy. 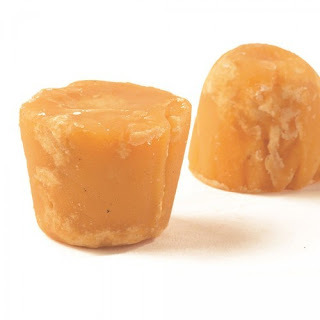 Jaggery avoids fatigue, indigestion and migraine. Weight: 100 gm jaggery contains 385 calories. People who do dieting for weight loss they should avoid having jaggery. However, they can eat little amount of jaggery. But the high consumption may increase weight. Jaggery is sweet and full of carbs. Blood Sugar: Jaggery is very sweet and nutritious compared to sugar. But the consumption of it in high amount may increase blood sugar. 10 gm jaggery contains 9.7 gm sugar. Parasites Infection: If jaggery is not prepared well then bacteria may remain in it. It affects intestines. Usually, jaggery is prepared in village. People do not take care of it while preparing jaggery. Therefore, bacterial remain in it and it affects the health. Indigestion: The fresh jaggery may create diarrhea. Some people may face indigestion problem after having fresh jaggery. Blood from Nose: Jaggery is hot. One might get blood from nose if he eats more jaggery in summer. Therefore, it is advisable to avoid having jaggery in summer. Health: Jaggery is not completely refined and it has high amount of sucrose. Gout patient should avoid having jaggery. Many researches have shown that sucrose interferes with omega-3 fatty acid. This may create irritation and inflammation in the body. Advice: According to Ayureda, do not eat jaggery with fish. It gives serious side effects. If you are suffering from ulcerative colitis, then you should not consume jaggery.